It's been another busy month for everyone at Bundledocs. We have gathered together the latest feature releases and some other exciting projects we've been working on. Want to see what we've been up to? Of all the developments that have been released this month, the one we are most excited about is the ability to prepare your bundle for double-sided printing. Yes, that's right. Now with the click of a button you can ensure that the first page of every section always appears on the right hand side. This new release is ideal for anyone that works with multi-section or volume bundles and needs this prepared in printed format. Want to give it a try? Login to Bundledocs and check out our new 'Generate with Vacat Pages' feature Today! That's not all. We have also introduced a number of enhancements including the ability to set a timezone for your account. This is great for any of our international users as it ensures the time-stamp on bundles is correct for them. Remember, we update our manual with all our latest feature additions. Make sure to login and check it out for yourself. Access your Bundledocs account now! At Bundledocs, we love our integration partners. 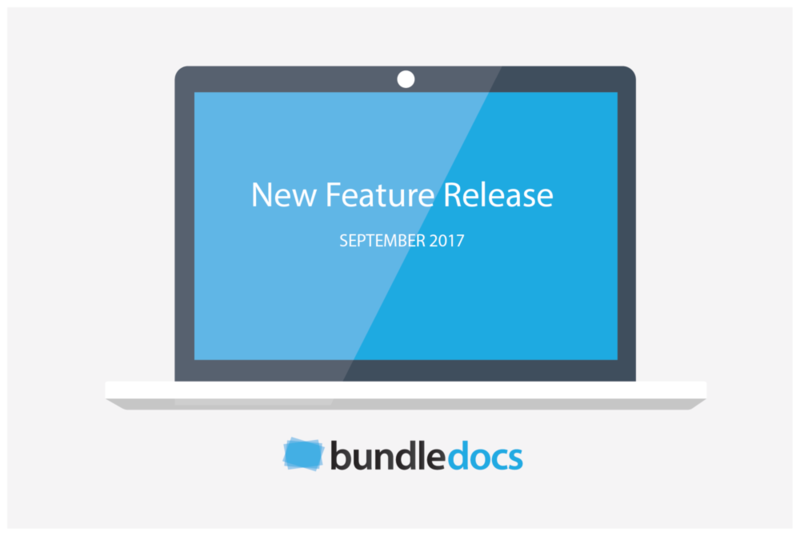 This month Bundledocs was delighted to announce the re-launch of our integration partnership with NetDocuments. The re-launched integration connector offers NetDocuments users even more ways to search and upload their files from NetDocuments directly into Bundledocs. The great thing about our integration is both NetDocuments and Bundledocs are 100% cloud based. This means there is no downtime and you can work in exactly the same way regardless of where you are - or even where your team are. If you missed our announcement, then you can check it out here: 'Bundledocs Re-launch Integration with NetDocuments DMS' or take a look at our 'Add Documents from NetDocuments into Bundledocs' post that includes a short one minute video showing you just how it works. September has certainly been a busy one for us all here at Bundledocs. If you missed the announcement, this month we were delighted to announce that we have added a new member to our team. Matt Breen has joined us and will handle all things sales related. Welcome Matt! Matt along with other members of the Bundledocs team will be exhibiting at the upcoming London Law Expo next month on Tuesday, October 10th. If you are attending make sure to stop by Stand #A22 and say hello to Matt! Can't wait until then? Get in touch with us today and we will be happy to answer any questions.